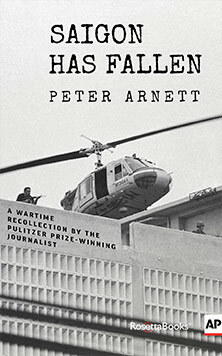 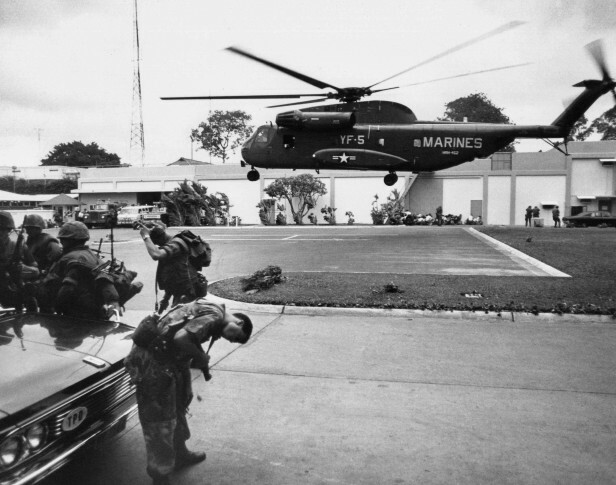 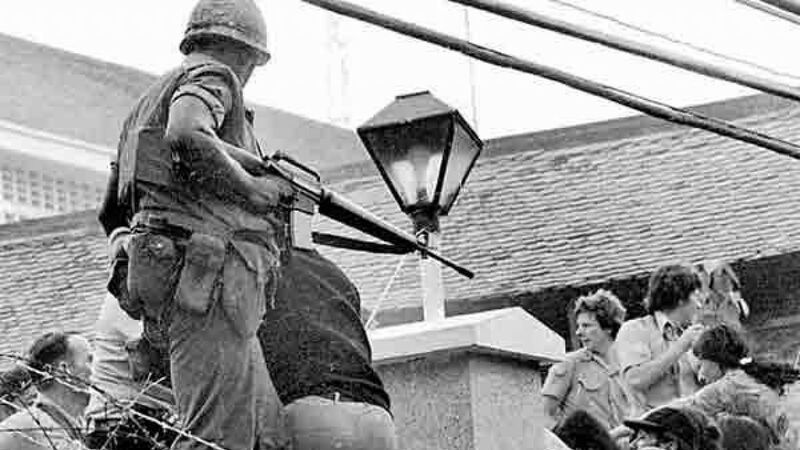 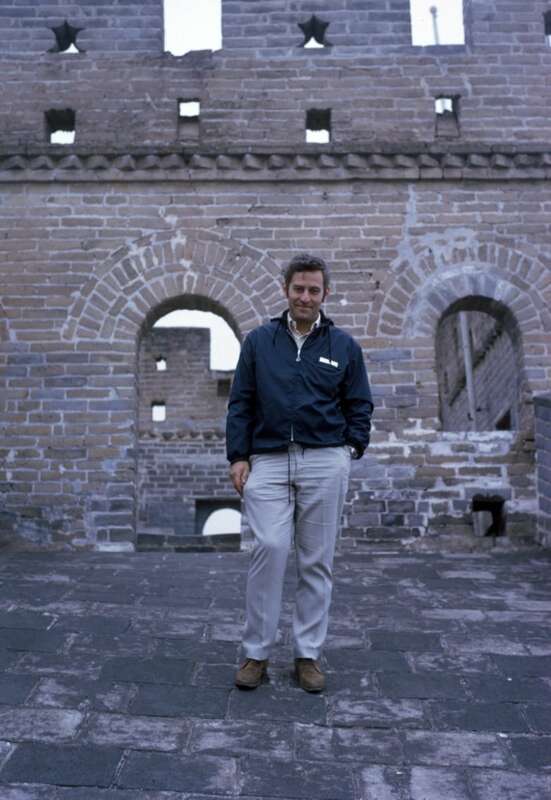 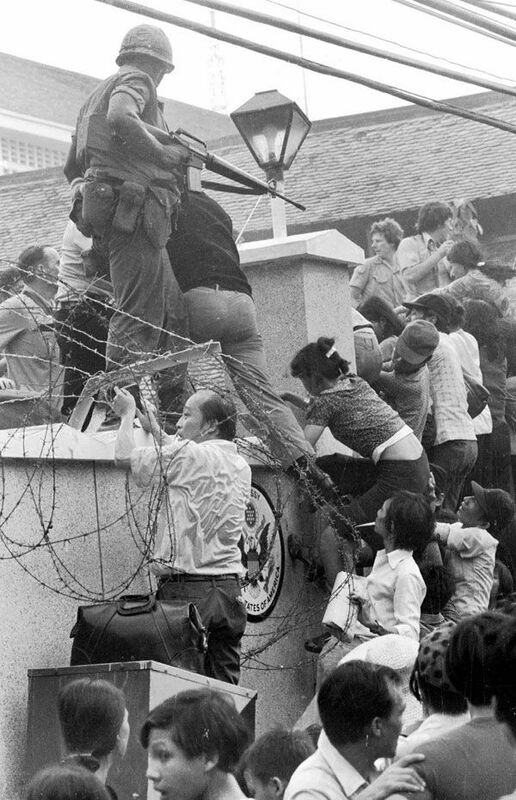 ... scale the 14-foot wall of the U.S. embassy in Saigon, trying to reach evacuation helicopters as the last Americans depart from Vietnam, April 29, 1975. 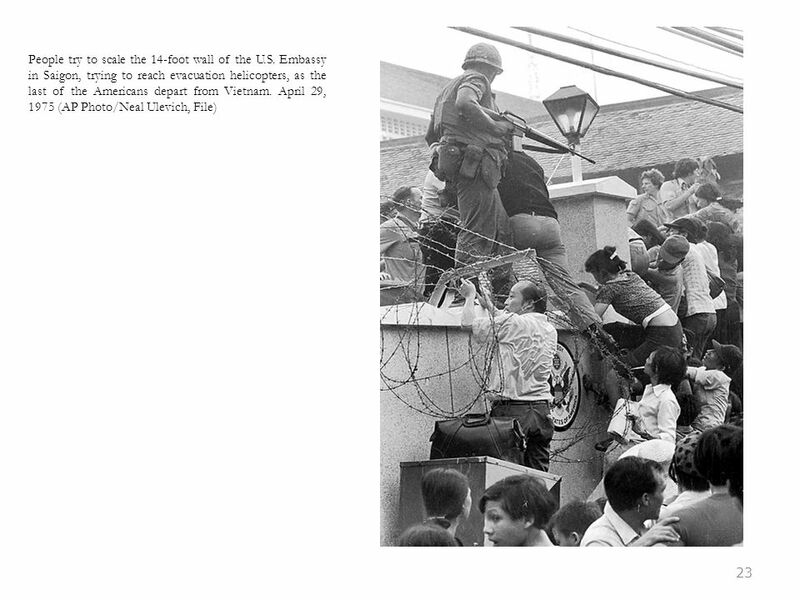 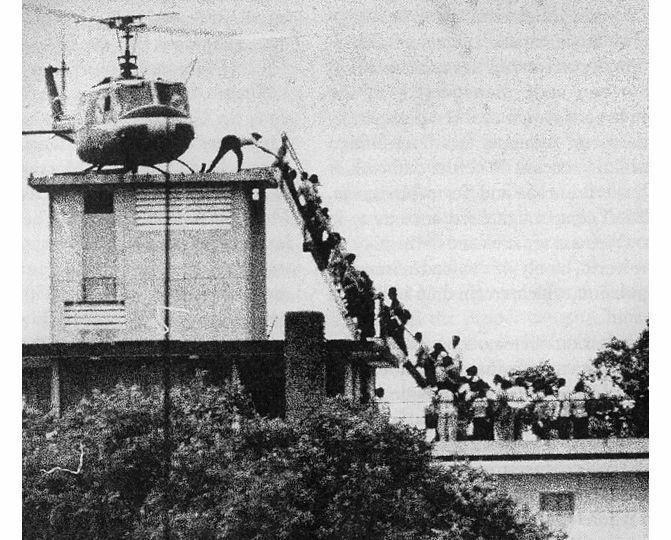 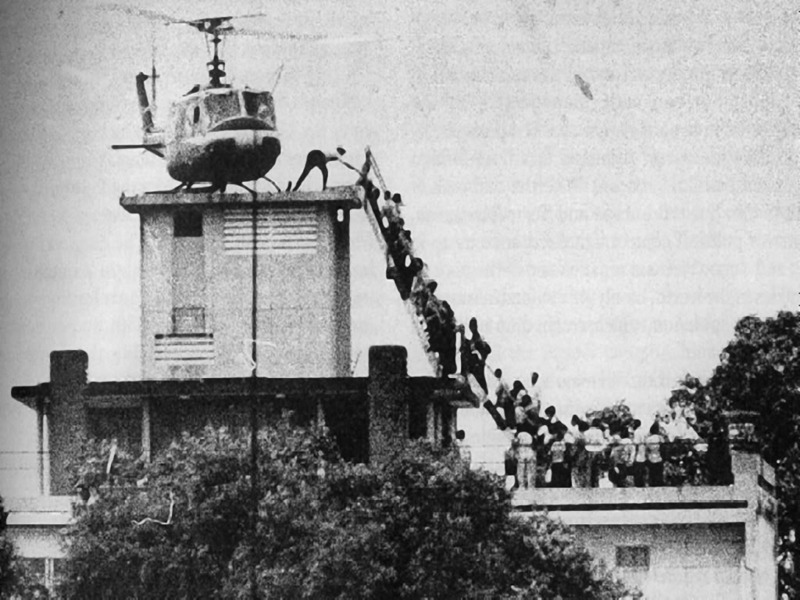 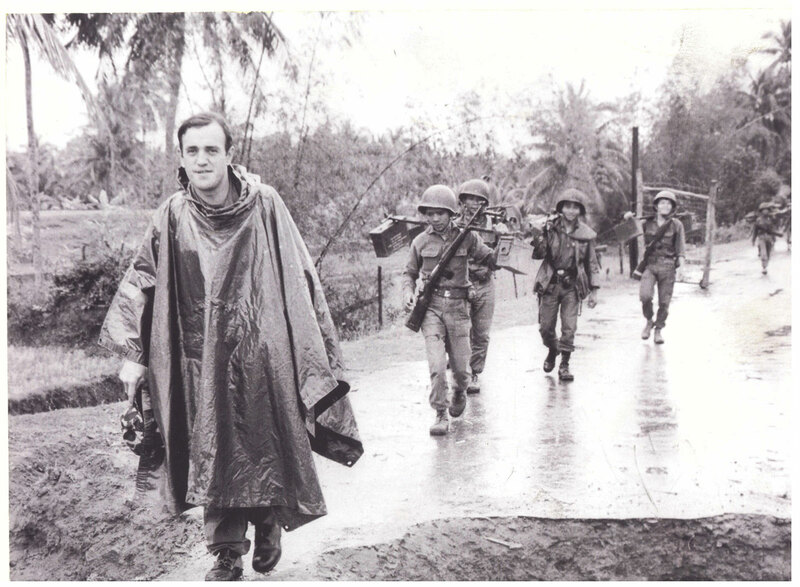 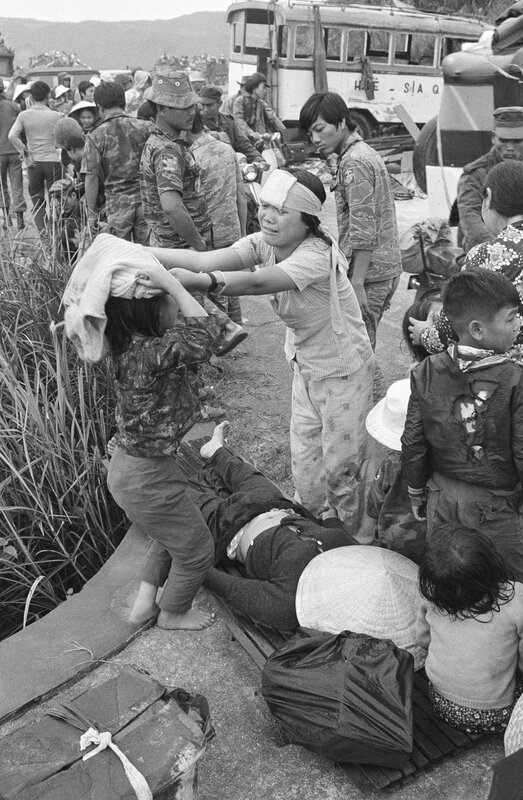 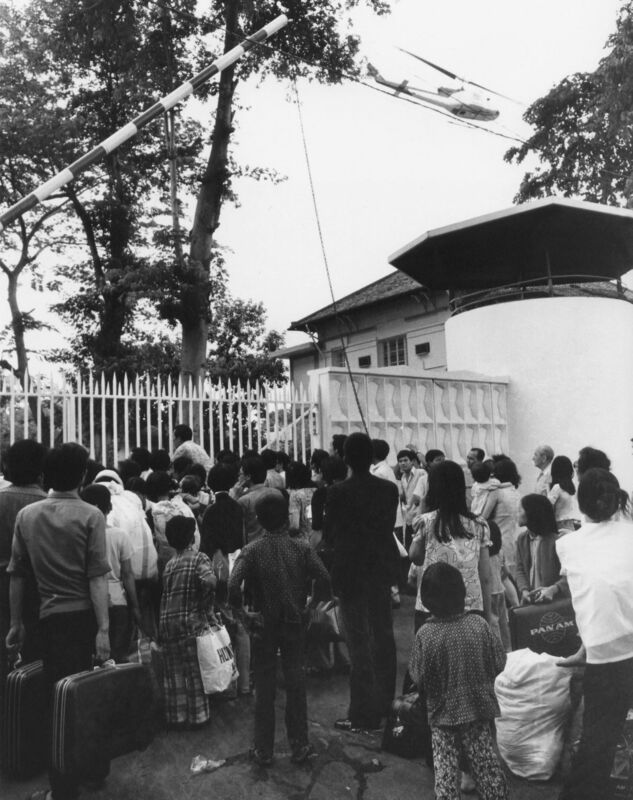 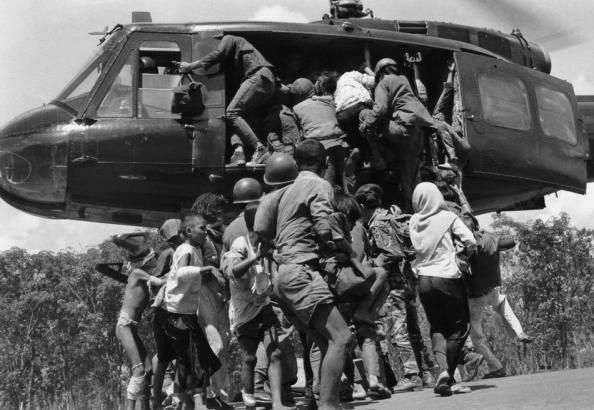 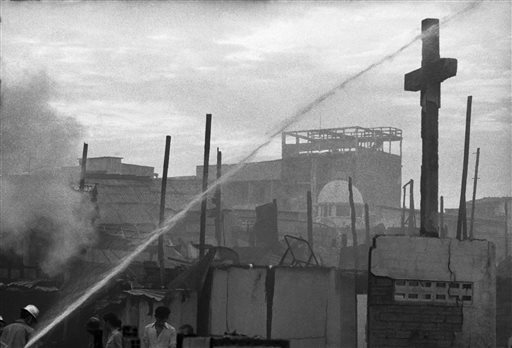 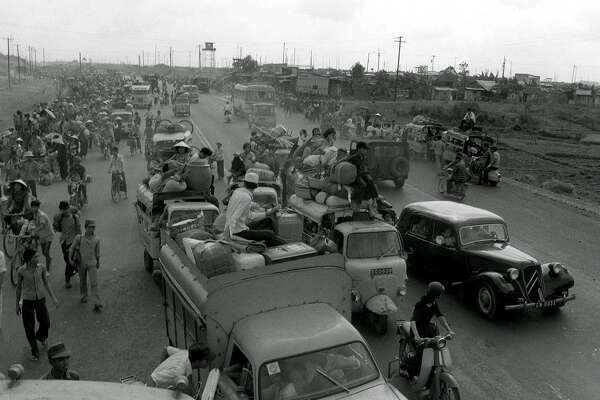 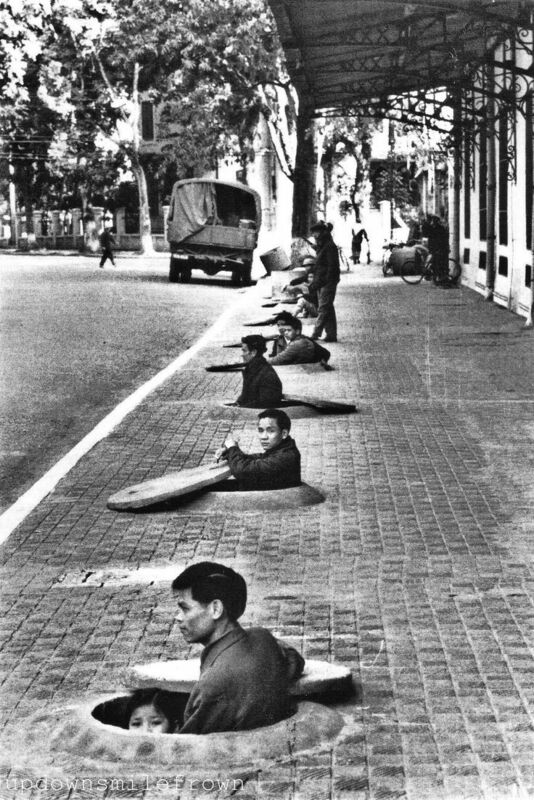 US embassy in Vietnam evacuates on April 29, 1975. 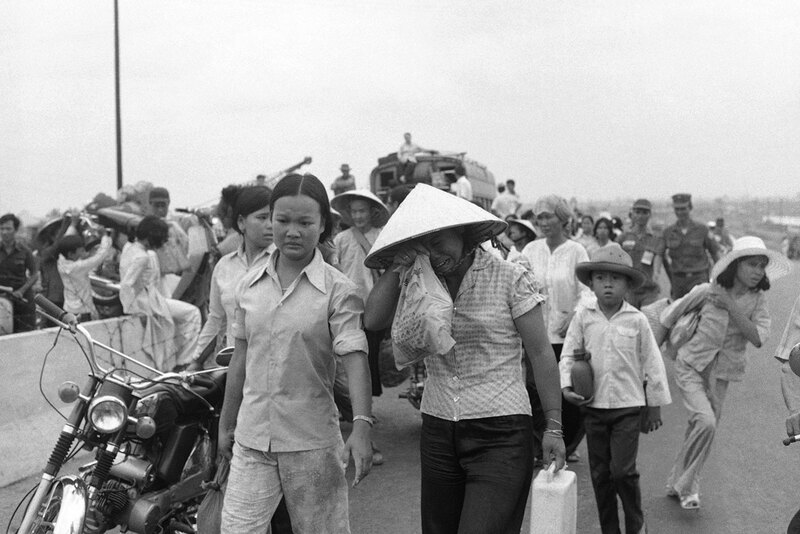 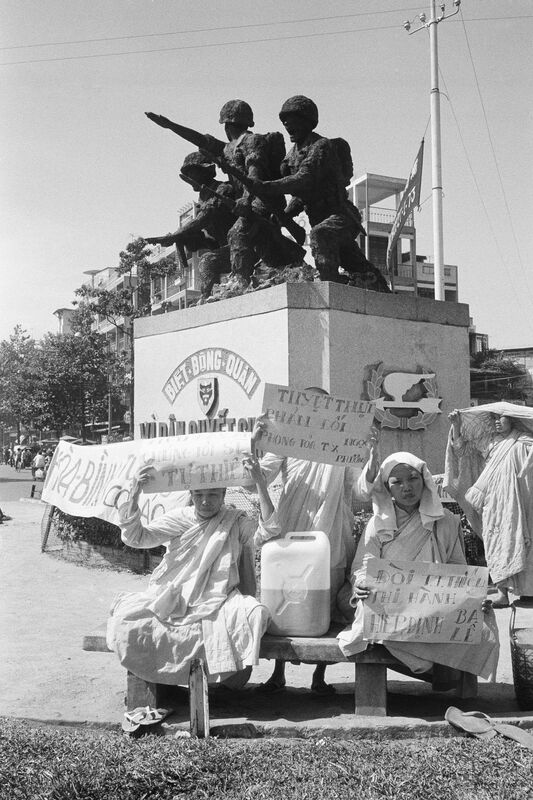 South Vietnamese on motorcycles carry away boxes of food looted from U.S. installations during evacuation of Saigon on April 29, 1975. 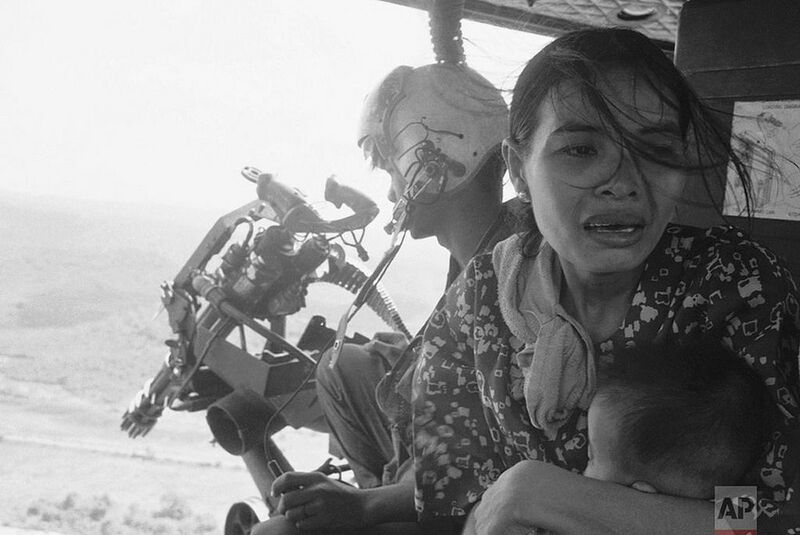 Bang Van Pham of La Habra is somber as she looks at 1975 images of Vietnamese refugees on barrack walls at Camp Telega (part of Camp Pendleton). 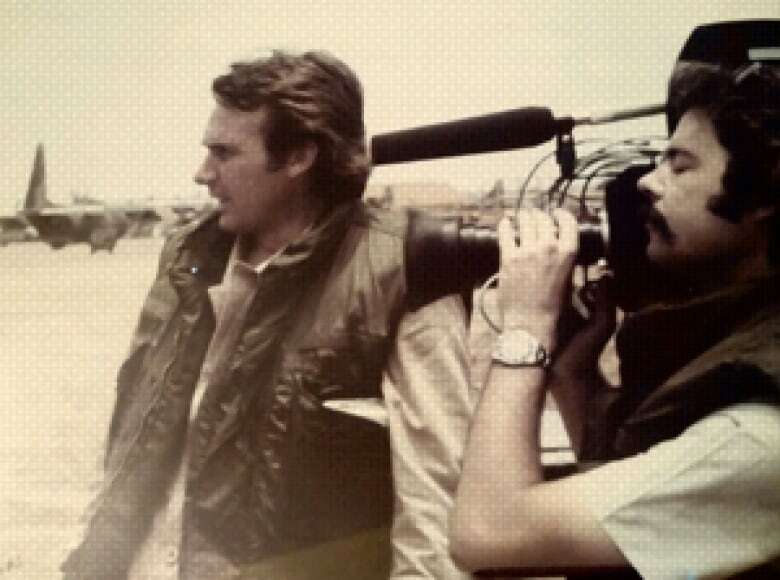 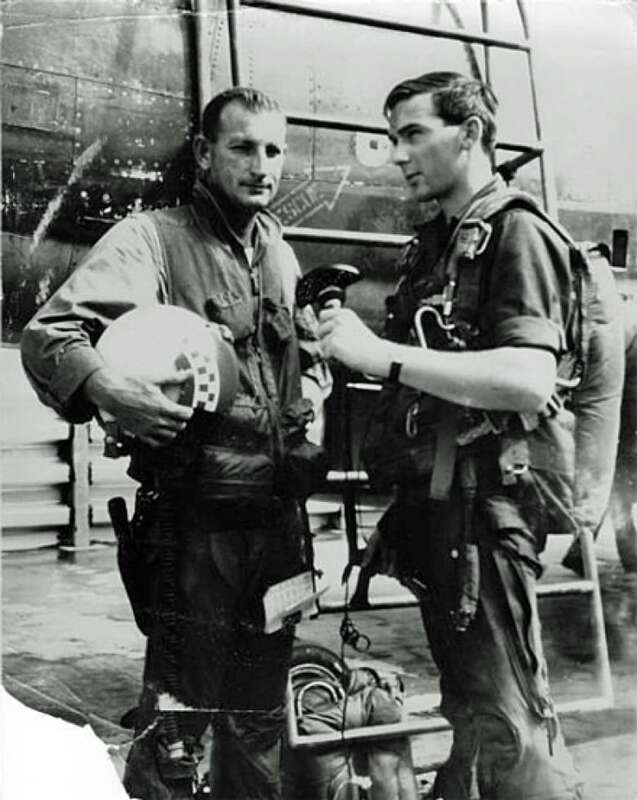 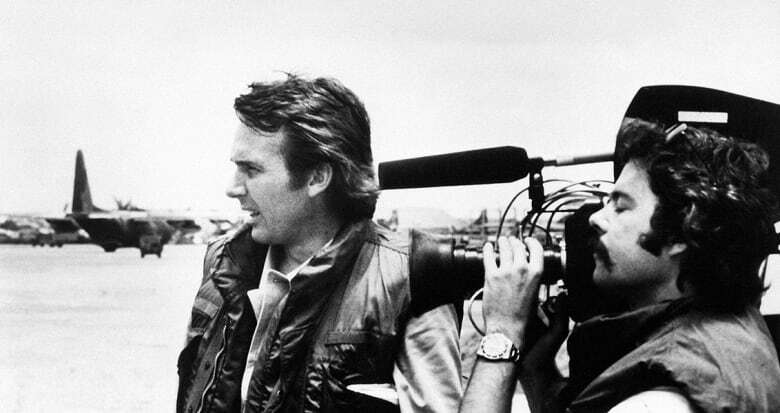 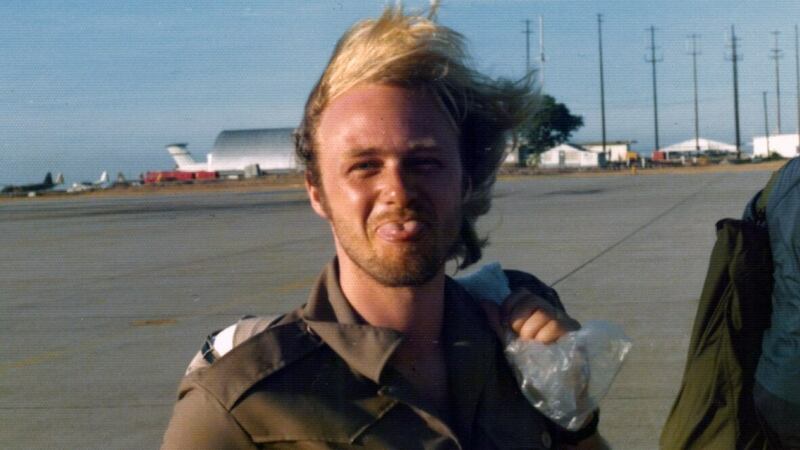 Fleeing the fall of Saigon in 1975, Bung Lee piloted a small, fixed-wing aircraft onto the deck of the USS Midway with the help of air boss Vern Jumper. 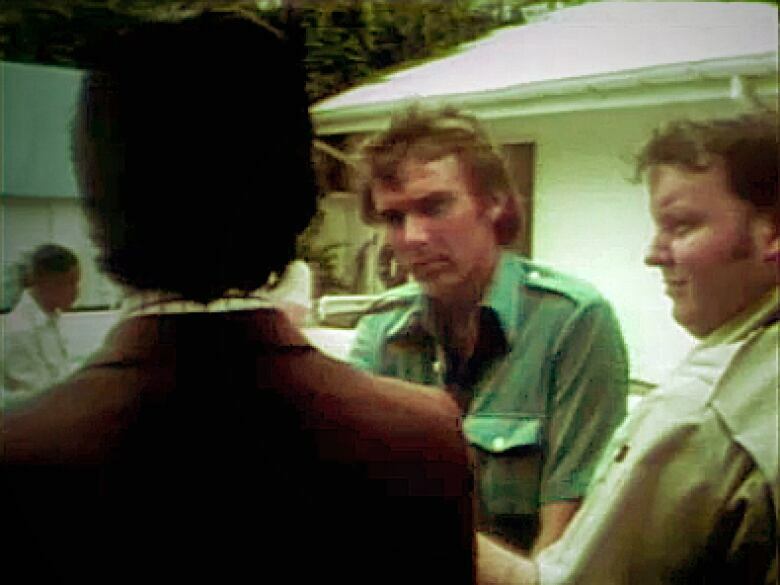 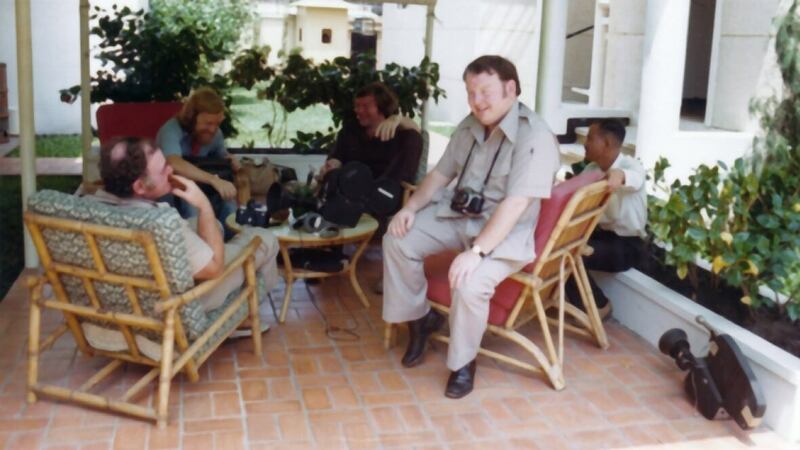 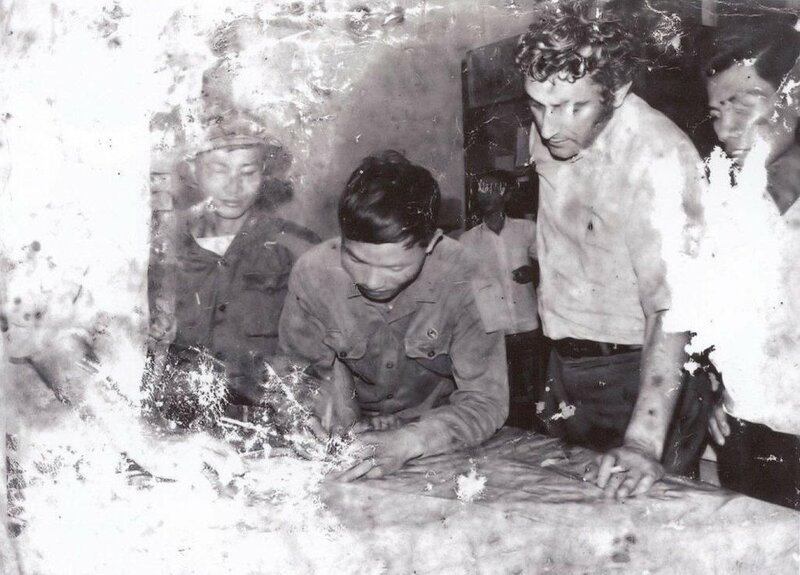 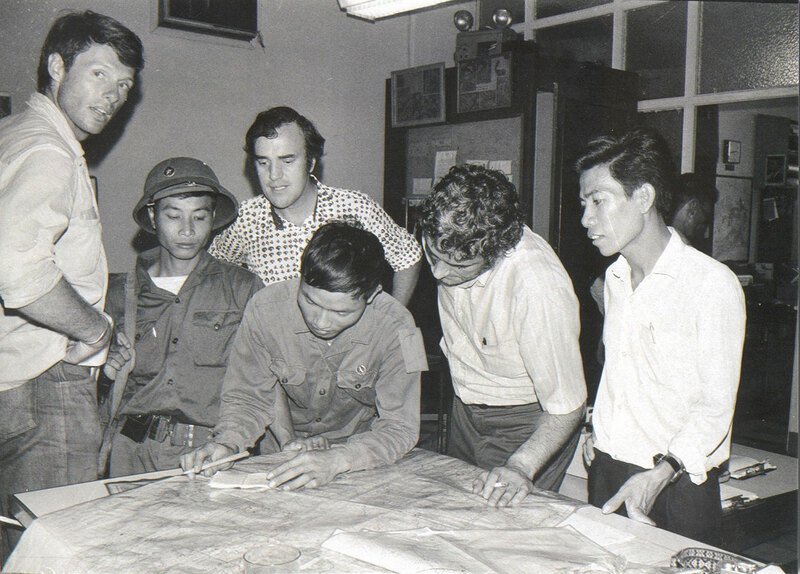 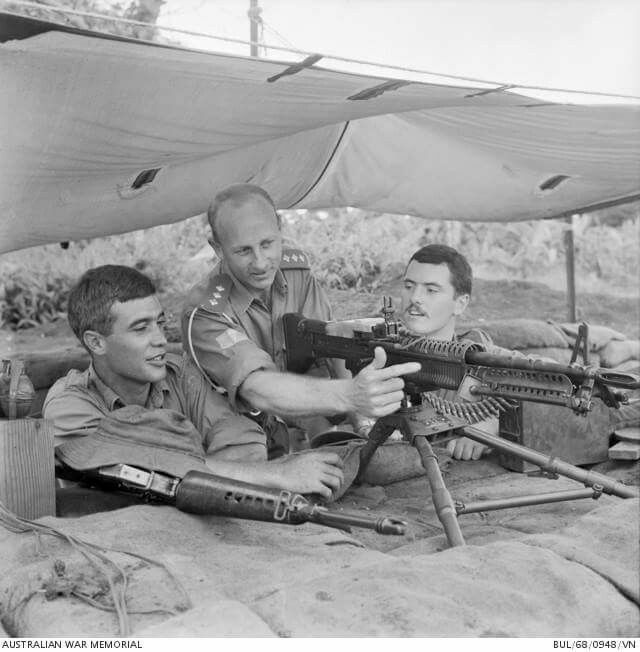 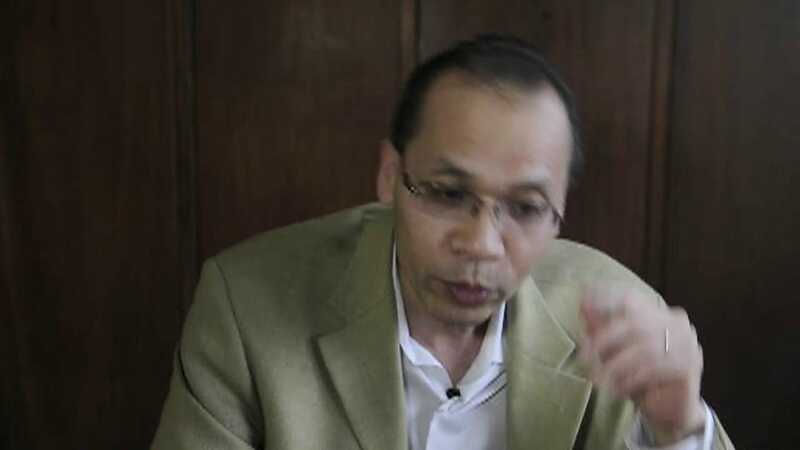 ... Duffy listen to Canada's charge d'affaires in Saigon, South Vietnam, Ernest Hebert, explain the Canadian evacuation from South Vietnam, April 24, 1975. 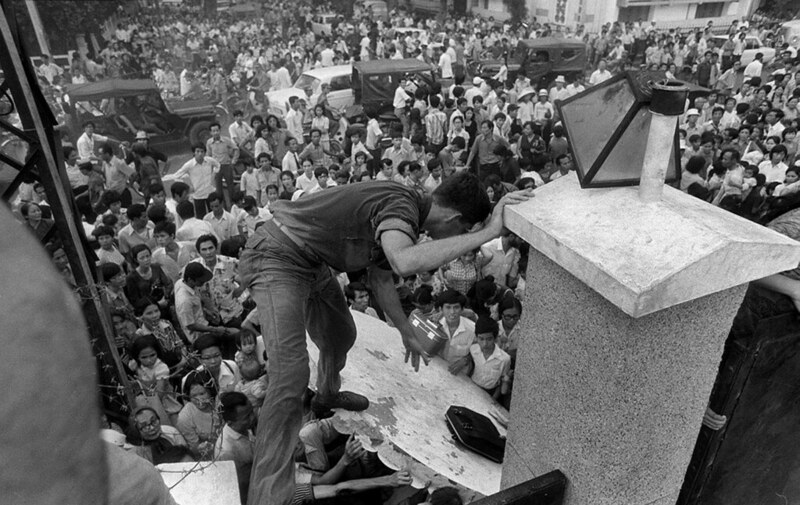 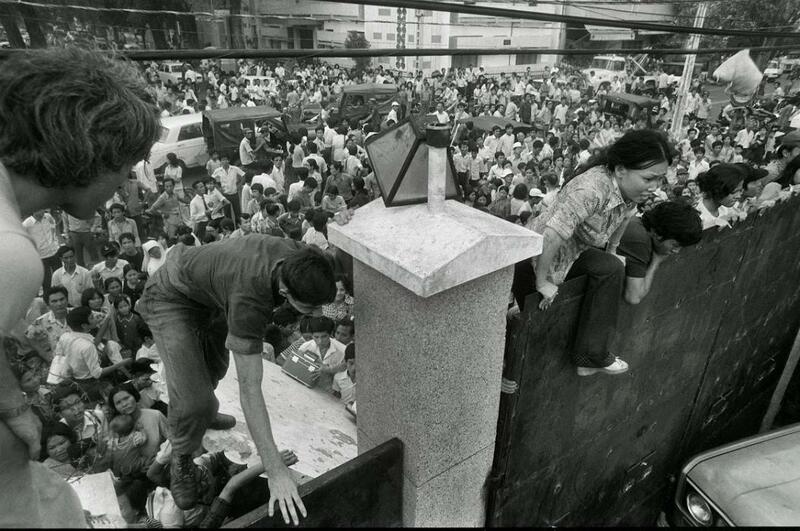 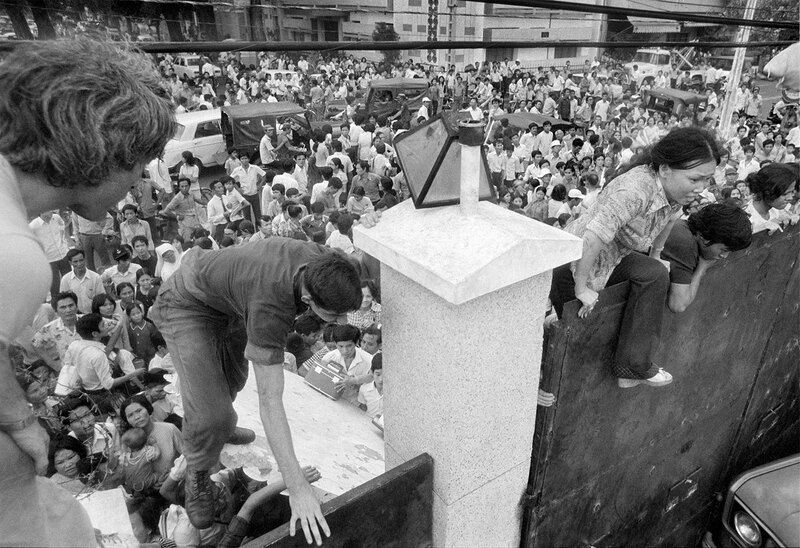 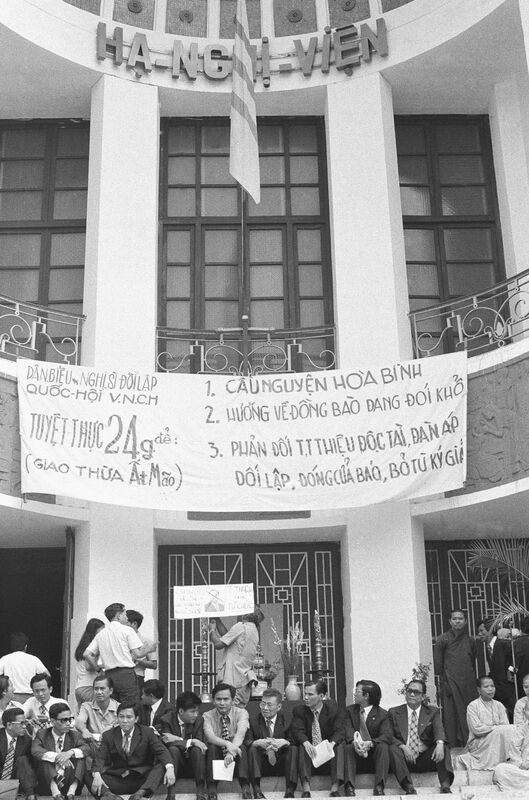 People try to scale the 14-foot wall of the US Embassy in Saigon as the last of the Americans depart from Vietnam - April 29, 1975. 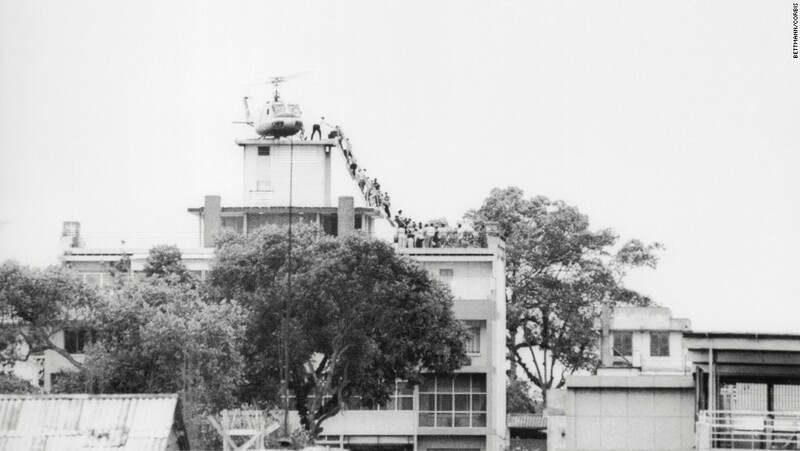 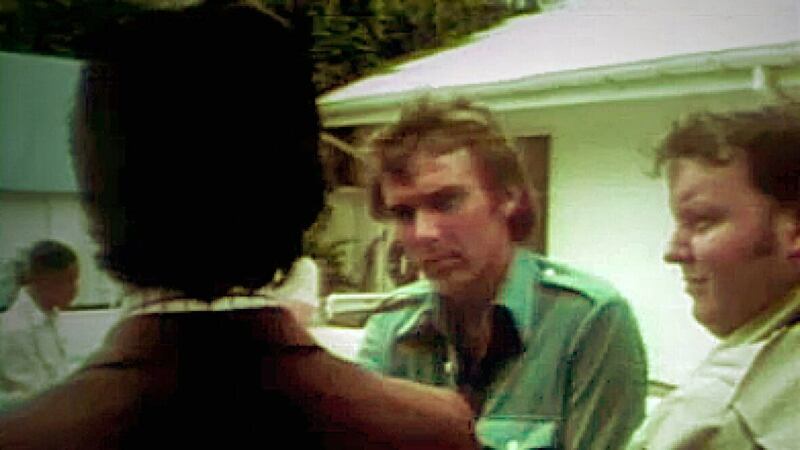 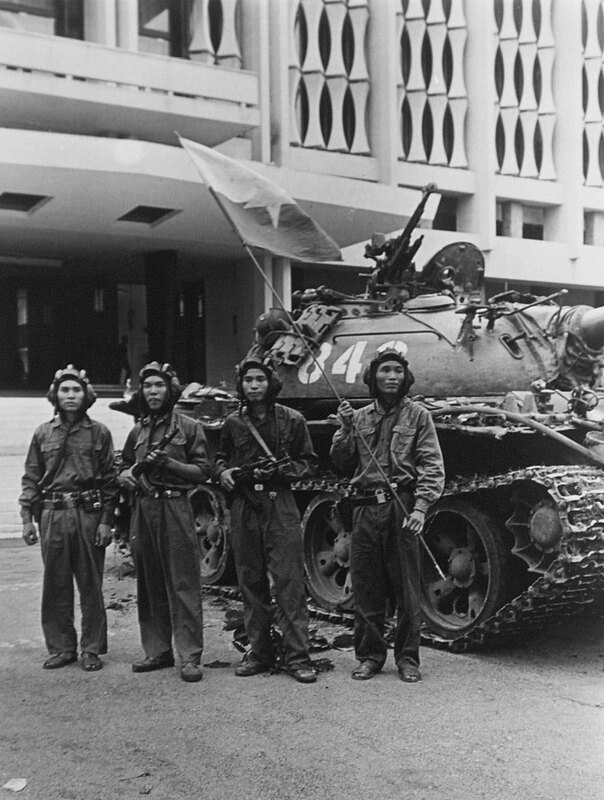 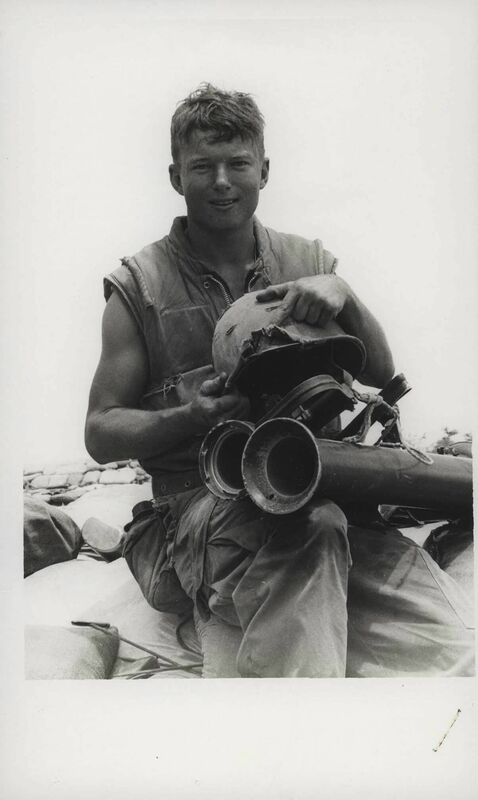 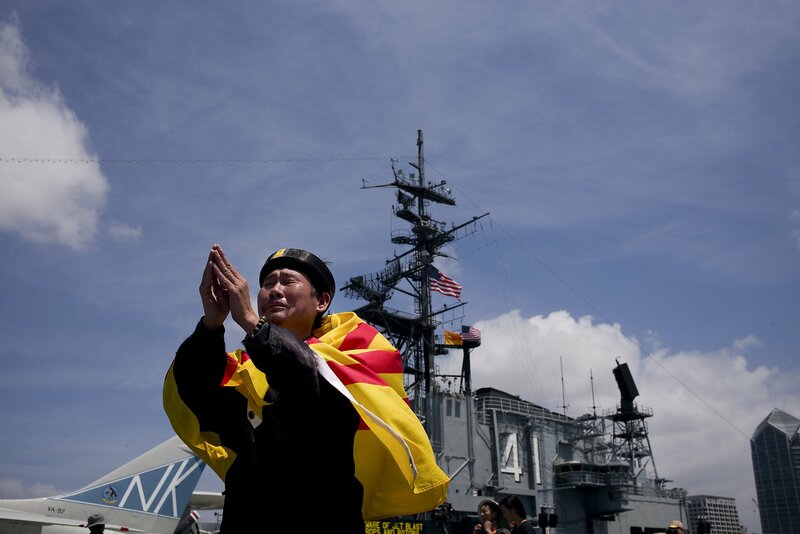 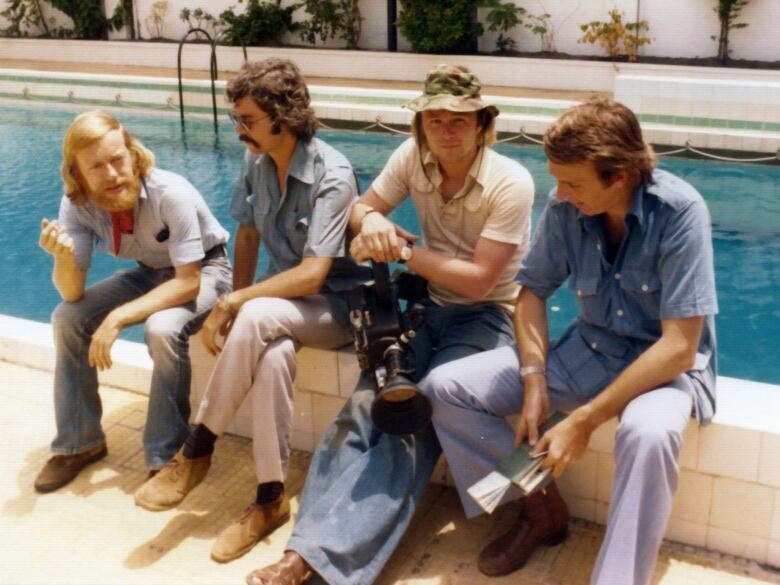 40 years ago, South Vietnam surrendered to North Vietnam, signaling the end of the Vietnam War. 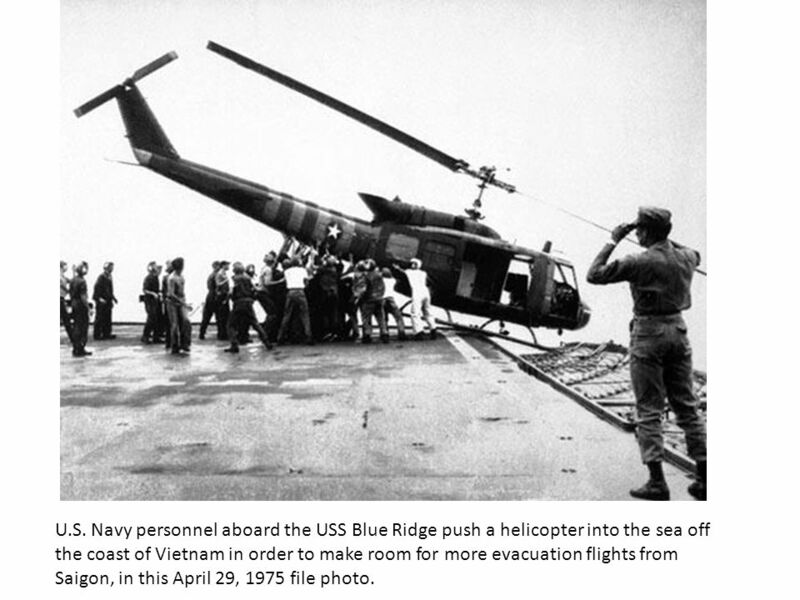 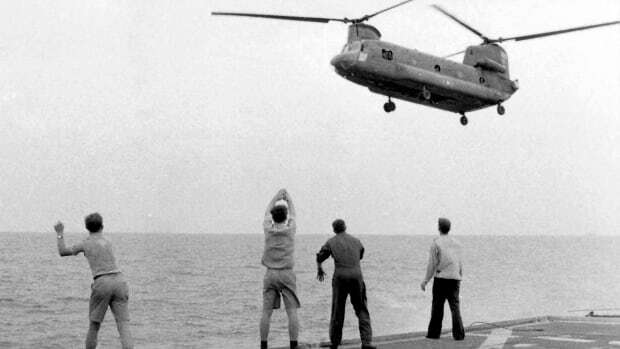 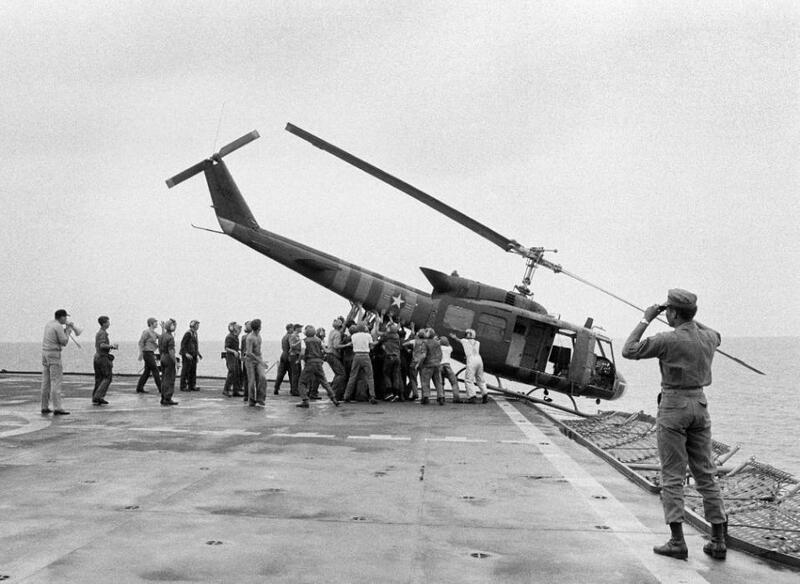 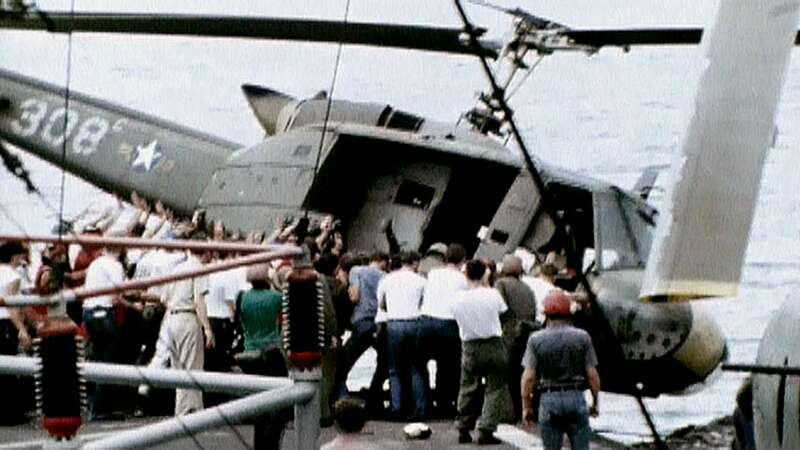 23 People try to scale the 14-foot wall of the U.S.
A crippled South Vietnamese war veteran limps away on crutch with food looted from abandoned U.S.
... USS Blue Ridge push a helicopter into the sea off the coast of Vietnam in order to make room for more evacuation flights from Saigon, April 29, 1975. 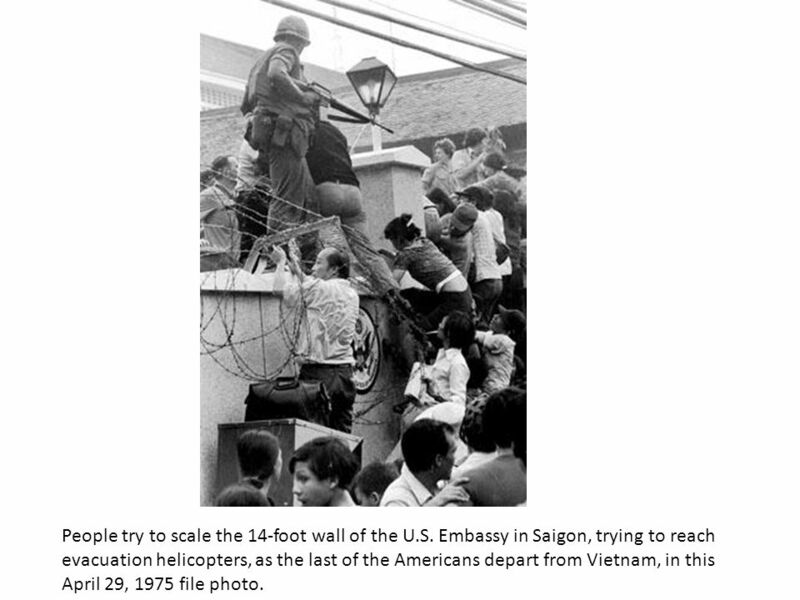 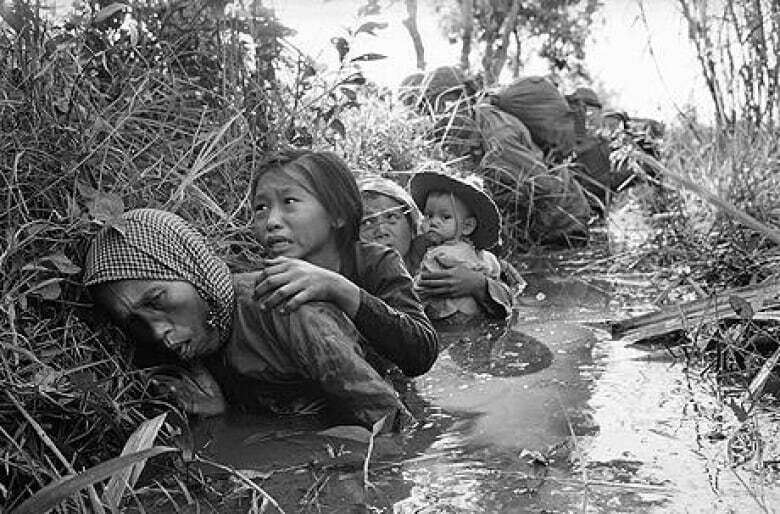 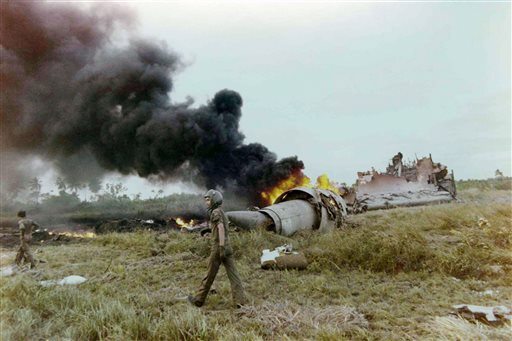 Find this Pin and more on Vietnam war by mcsdopp2.